Robotic heart surgery is a topic that inspires the imagination of the public and often garners the attention of the media. As illustrated in the below videos, Dr. Poston’s robotic program has been covered by prestigious news organizations such as ABC World News, the Washington Post, and CardioSource World News in addition to frequent coverage by local news. 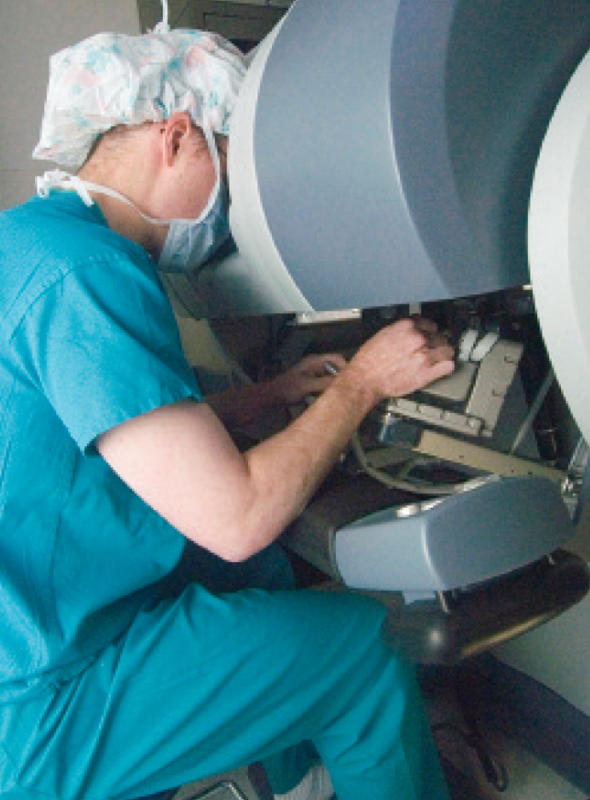 Media coverage and advertising of robotic surgery evokes controversy among those in the surgical profession, but it is usually welcomed among patients because it provides them access to information that they might not otherwise had about this new option. 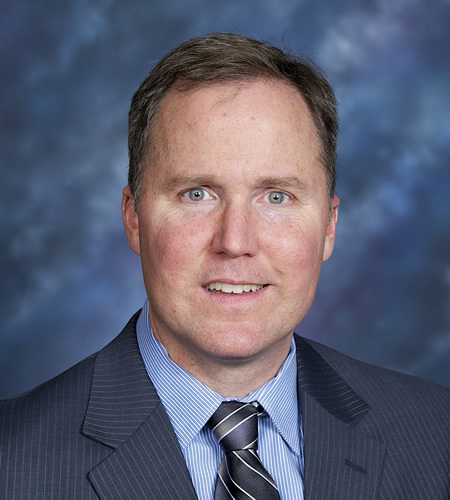 Dr. Poston provided his insights on the training and credentialing issues with robotic surgery for the documentary “Bleeding Edge”, which appeared on Netflix last summer. Dr. Poston expressed his views about the pros and cons of robotic surgery in an interview with journalist Cynthia McFadden. Feature on Dr. Poston's robotic surgery program broadcast on ABC News. Data from his recent presentation at a national surgical society (ASA) was presented about cost effectiveness and superior clinical outcomes from robotic surgery compared to conventional open chest heart surgery. Patient presentation about robotic bypass at Rhode Island Chamber of Commerce. 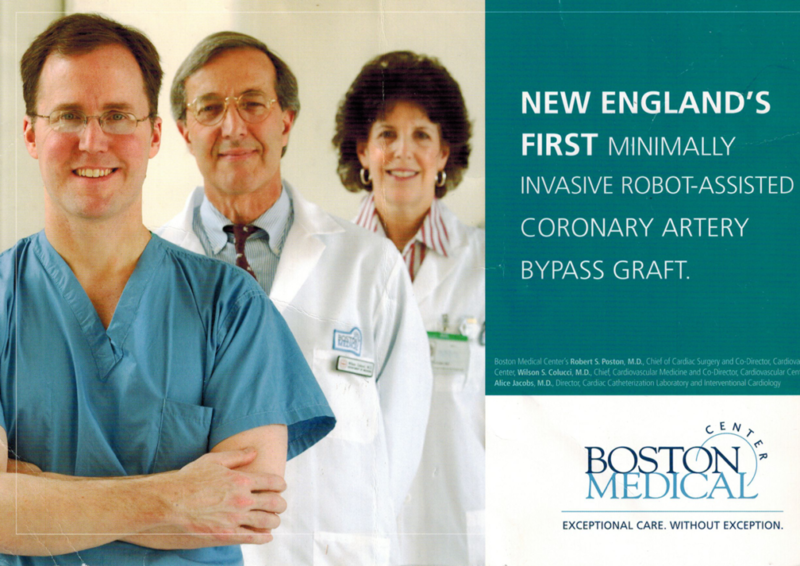 Larry Fish, CEO of a small business in Rhode Island, describes his experience with robotic bypass surgery performed in 2011. 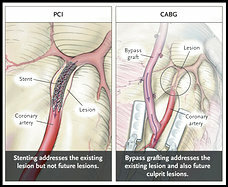 Interview about the benefits of hybrid coronary revascularization, CardioSource WorldNews. Sugam Bhatnagar, Dr. Poston’s lab manager at Univ of Arizona, provides an interview about our presentation at a national cardiology meeting, TCT 2013. Video of a TV ad that ran from 2008-9 in Boston and surrounding area. It resulted in 55 new referrals to our center for robotic bypass surgery, a finding which is the subject of a peer reviewed publication. Article by Bruce Goldfarb from the University of Maryland Baltimore. Featured article in the University of Maryland Alumni Magazine in 2007 about minimally invasive cardiac surgery. Local newspaper story on the value of a quick recovery after heart surgery. This patient was responsible for directing a school drama production within 1 month of surgery. Article that was in the front page of the health section in the Washington Post, July 2005. The topic was about hybrid coronary revascularization, which was a totally new approach at that time. This is the web version of the ABC world news story of the cost advantages of robotic heart bypass. Article about Dr. Poston’s program at Northwest Medical center in Tucson AZ that was in a local business magazine in 2015. 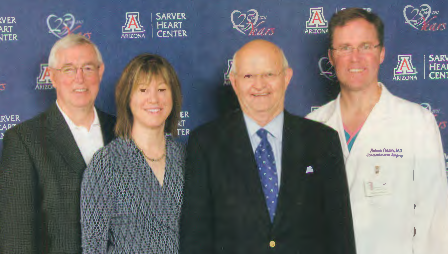 Introduction of Dr. Poston’s position at Univ of Arizona in 2011. Article published in a local newspaper in Nov 2014 about Dr. Poston’s robotic program at Northwest Medical Center (NWMC). Dr. Poston did my surgery May 2013. 3 months and 1 day after surgery I was in the ring competing again. I earned 5 State Titles last year. This year, as of today, I am #2 in World Standings. I will be competing for World Championship in July. If it were not for Dr. Poston I would not be competing at all.